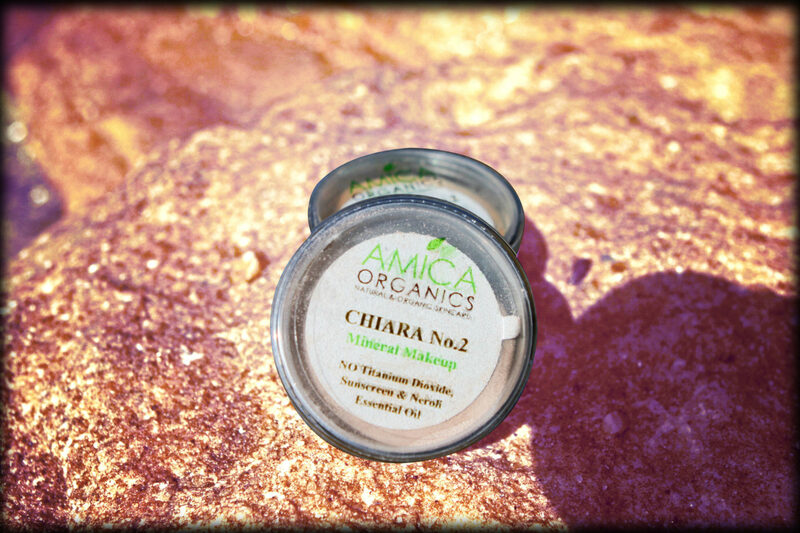 This mineral makeup and mineral foundation, CHIARA 1 is great for women with a light beige to fair skin tone. No Chemicals! No Titanium Dioxide! Made with Zinc Oxide (natural sunscreen) and beautiful essential oils with loads of vitamins for your skin and health. Availability: In stock Categories: Acne Skin Care Products, Mineral Makeup, Organic Makeup, Organic Skin Care Products. Tags: best mineral makeup, best natural makeup, best organic makeup, buy mineral makeup, buy mineral makeup online, buy organic makeup, mineral foundation, mineral foundation powder, mineral makeup, natural makeup, natural mineral foundation, natural sunscreen, organic makeup, organic skin care. 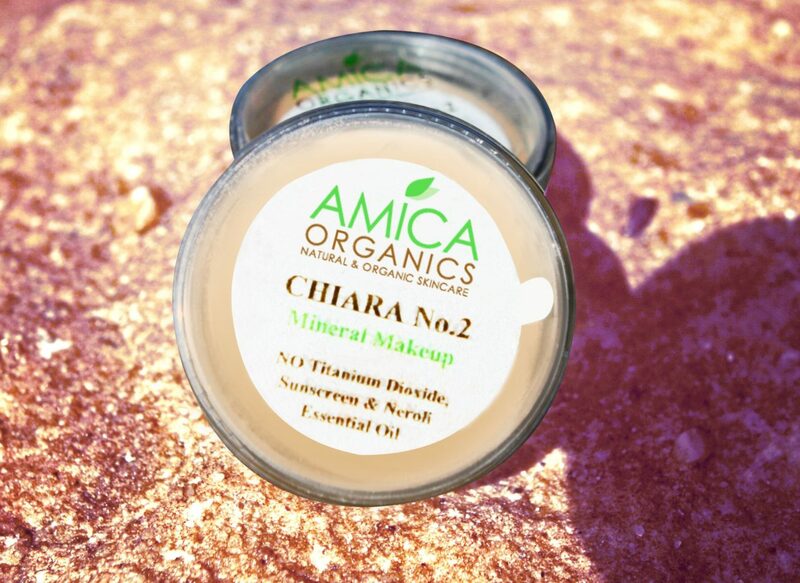 This mineral makeup and natural makeup, CHIARA 1 is great for women with a light beige to fair skin tone. This mineral makeup gives facial skin a real natural and flawless look. This product is very unique as it does not include the natural mineral Titanium Dioxide, which is metal derived. AMICA Organics were not comfortable with the controversies over Titanium Dioxide used in mineral foundations and therefore have decided to remove this ingredient from our Mineral Foundations. This product also has Zinc Oxide which is a sunscreen ingredient (however this product has not been tested for SPF) and contains organic Neroli essential oil, which is known for its sedative properties for the skin and has a beautiful aroma too. This mineral makeup can be used by someone with a light beige to fair skin tone.